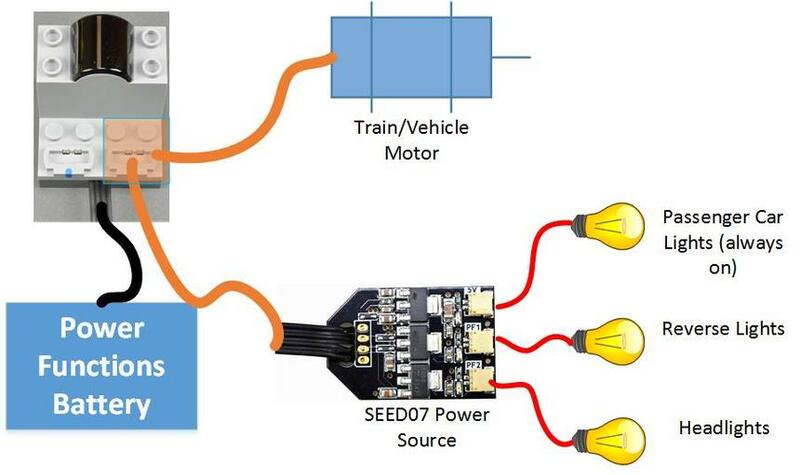 This post describes our SEED07 3-output Power Functions power source in detail. 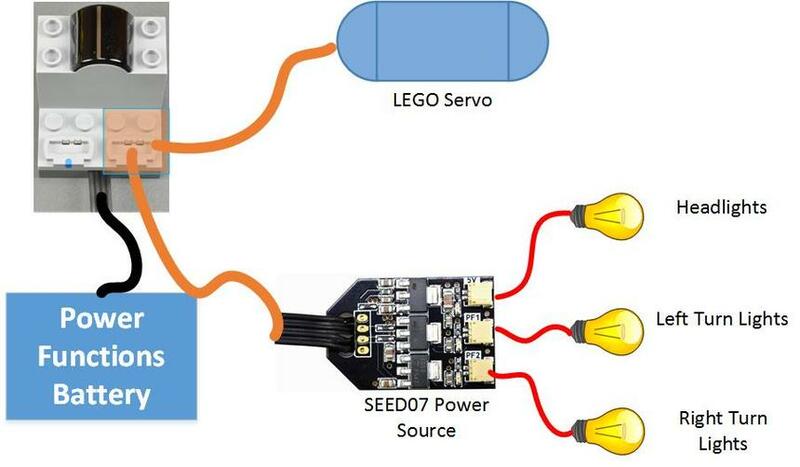 Our First Generation Power Functions Power Supply, was an "always on" supply (meaning that if your PF battery pack was on, the lights were on-- you could not control lights using a LEGO PF remote or an SBrick). During use, it is normal for the power source to heat up. 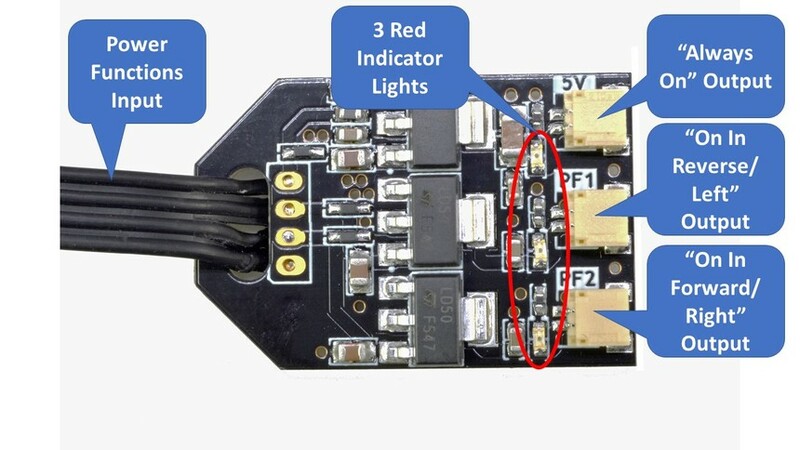 Depending on the number of lights and effects connected to all ports, the circuit board may become very hot to the touch. Not hot enough to melt LEGO bricks, but make sure you mount the power source where it can have some free airflow. 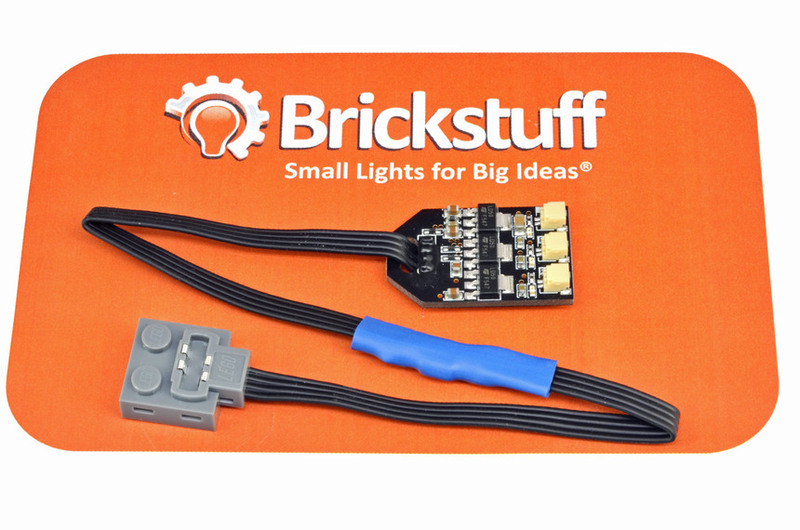 (in the illustration above, a the power source is connected to the same Power Functions channel as a servo-- when used with Brickstuff's Flashing Pico LEDs, you can create automatic turn signals for vehicles.